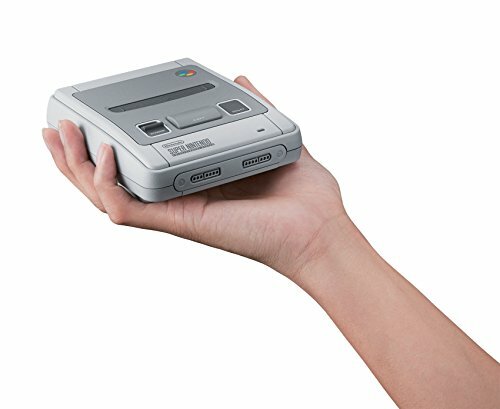 The Super NES Classic Edition system looks and feels just like the original 90s home console, except its super small. 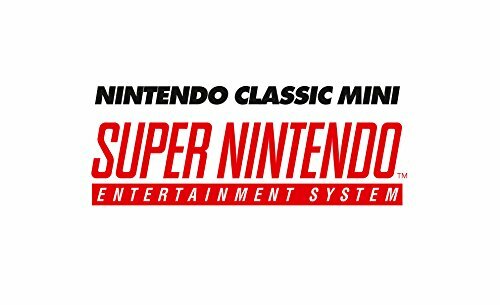 Play 20 classic Super NES games plus the never-before-released Star Fox 2 game. The 90s called; they want their controllers back. 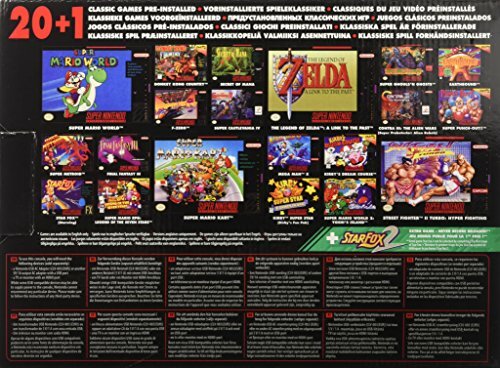 Two wired Super NES Classic Controllers are included for multiplayer action. Play some of the best 2-player games of the era, including Super Mario Kart and Street Fighter II Turbo: Hyper Fighting. 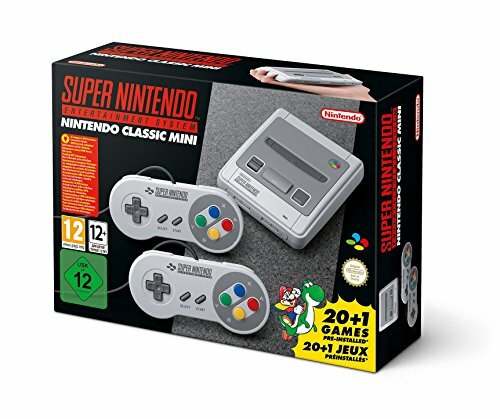 Features:Has the original look and feel of the 90s home console, only smallerComes fully loaded with 21 games An all new feature lets you rewind a minute or more based on your games last suspend point. Each game can save up to four suspend pointsGet your hands on some of the best 2 player games of the eraCompatible with the Classic Controller and Classic Controller Pro accessories (Sold Separately)Just plug it in and play Package Includes:Miniature Super Nintendo Entertainment System replica with 21 preloaded Super NES gamesTwo wired Super NES Classic ControllersOne HDMI cableOne USB cable Operations manualNote: This model is EU imported but is not region locked, can be used in US without issue. It is always great to see the return of an original classic, how many of us grew up on Nintendo and those great games that paved the way for the modern gaming systems? I agree glad they have this product again at a decent price.good company reliable. So glad they brought this back! Great price! wow this is old school and so much fun! !